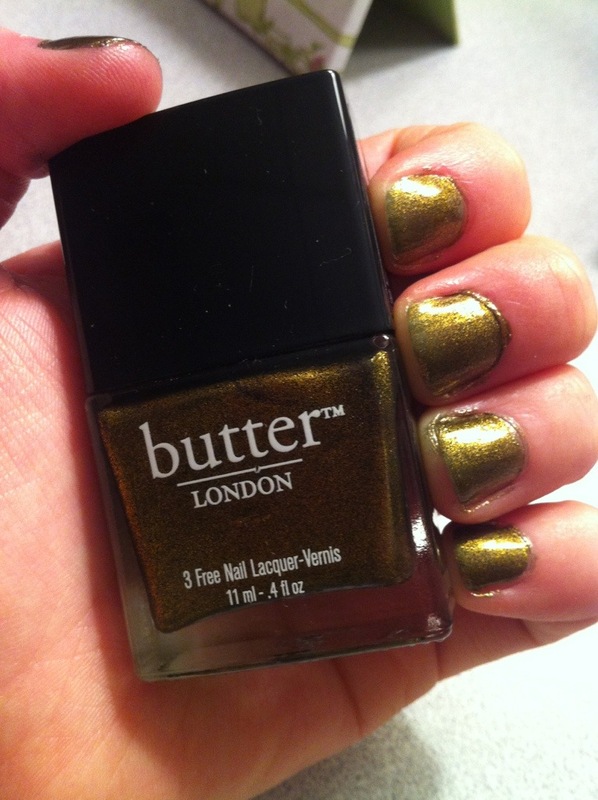 Trying out my new Butter London nail polish that came free with my Shoemint purchase. It’s kind of a dirty gold which is perfect for the holidays. What do you think? Any new nail colors you want to try?